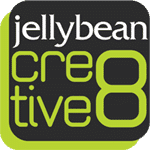 Jellybean Creative have vast experience in the Exhibitions & Events industry helping clients maximize their sales and promotional potential at trade shows and trade fairs across the UK, USA & Europe. From small shell schemes exhibition booths through to large space only stands, whether it be large bespoke custom exhibition stands or modular stands, our booth designers and expert exhibition stand contractors and exhibition trade people can help you. We will deliver high impact exhibitions design & quality built exhibition booths. Our work is mainly focused in the UK, USA and Europe, but our exhibition project managers have many highly professional sub contract teams that can help partner and deliver exhibition projects on a Global level. Therefore no job is too small or too big for us to handle. Our promise to you, is that we will endeavor to offer outstanding customer service, highly creative exhibition designs, engaging and interactive trade show services for your products and services to stand out at the event, and a professional team of project managers and exhibition stand contractors. Delivering creative exhibition design on time and on budget. Bring your products to life on your exhibition stand with the use of the latest engaging technology. Here at Jellybean Creative we understand the need to keep up with changing technology and marketing trends. Immersive and engaging technologies like Virtual Reality (VR) and Augmented Reality (AR) help capture and keep the attention of your exhibition audiences. Customized Apps, along with touch screens, give your audience access to greater levels of understanding and information about your products. They also allow for important data capture of your trade booth visitors, for future business development after the show. Our exhibition stand designers can communicate our proposed exhibition design ideas through initial 2D design sketches, if required. We can also convert these into dimensional accurate 3D CAD Design computer models of your proposed exhibition stand. The initial concept can be developed through to a final CAD presentation for pitching to your stakeholders and management team. Once the bespoke exhibition stand concepts are approved, these Concept CAD designs are then developed into our own working constructional drawings. These technical plans and elevation production drawings are then submitted to the event organizers to communicate the final specifications of the exhibition booth design. The event organizers have specific rules and guidelines that all trade show stands must abide by and comply with. Through the development of these detailed drawings, this information can be communicated to the event organizers. Use of graphics at trade shows is very important. The correct use of a customer’s branding and corporate image is very important. Our graphic design team will ensure that exhibition graphics give a big impact on the booth. We can provide a complete graphic design, digital art working, graphic production and graphics installation service. We can supply large format digital print applied to Foamex panels, produced as large format printed wall paper, stretch wrapped to PVC, graphics printed to tension fabric with silicon beads, as die cut vinyl lettering or as stand-off laser cut signage. Whatever your requirements for the event our graphic designers & exhibition stand contractors will ensure your brands and products get noticed. We can also prepare digital graphics and video content for use on AV screens and touch screen media. Customers exhibit for various reasons, this usually though is to have the end purpose of generating business. This involves meeting people and making business contacts. It is of no use having many people visiting your exhibition booth, but with no record being taken of any customers contact details. Data capture of customers details can be done in a variety of simple ways. Allow Jellybean Creative to discuss simple ways of collecting customers contact details for future business opportunities.